With his win on Friday night in St. Louis, Corey Crawford took over first place in Chicago Blackhawks history with 46 career wins in the Stanley Cup Playoffs. In 78 career postseason games, Crawford is 46-30 (11 OT) with a .921 save percentage, 2.21 goals against average and five shutouts. He has led the Blackhawks to two Stanley Cup championships (2013, 2015). There are several wrong headed folks, even on this site, that consider Crawford as just so much expensive piffle. That he benefitted only becuase of the team in front of him. May you all meet Brent Seabrook and Duncan Keith in a dark alley one night, where upon after a stern lecture to straighten you out you go home to change your very soiled underwear and pants. You truly are not worthy. You will atone. As Johnny Carson used to say “may the fleas of a thousand camels descend upon you”. There is simply no scenario that gives us 2 of those cups without him. Plus nearly a third vs. LA, plus what we have this year. On top of all that he really is a cool fun kinda dude. 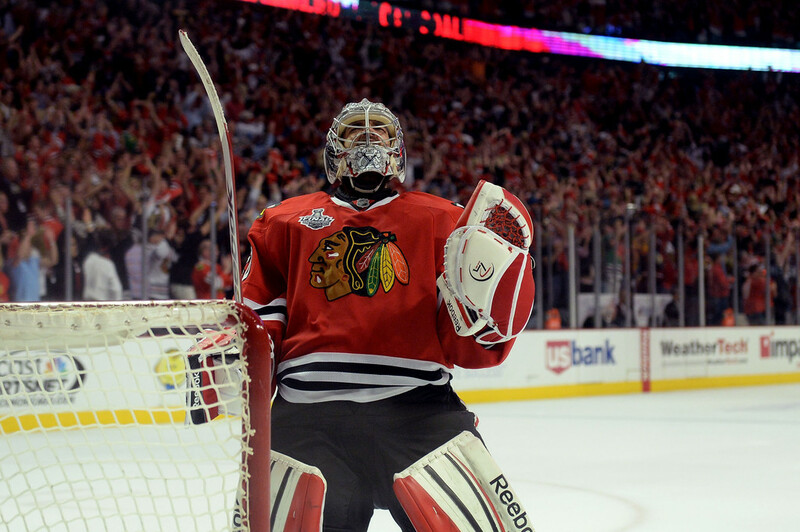 Crawford, Blackhawks, the Team, amazing. 46-30-11 ? Is the “11” overtime losses? Crawford is 46-30, officially, in the postseason. The third number indicates his overtime losses. Tony Espisito’s number is up in the rafters. Should the conversation start about raising #50? Special ,.,.real special,.,.man ,,,,,see,.,., good things happen when you draft .goalies and d- men,.,.,.,.,Please take note in Edmonton. Crow has been a hard working son of a gun for a real long time. Rode the pine ,sent up and down ,.,.,worked hard ,progressed into the man he is now. This goalie has done so much for this team ,.,.love it ,.,.,flying under the radar. Good ,.,no hell he,s GREAT. Thank you for the great post. You my friend……nailed it. Well spoken? Weren’t people all up in arms over his speech after the cup? It will NOT be Crow’s fault– when Hawks exit in 2nd Round to Stars!!! 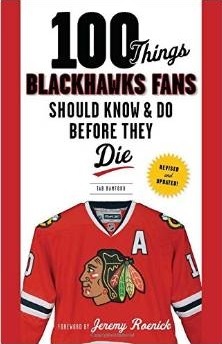 (It will be SB’s fault for 10/Oduya/Johns- becoming Stars)… Which will further prove my point of last few years!!! Like any goalie Crawford has his mini-streaks of being “off”, lets in a leaky goal, etc. That being said, I never agree with any argument that he benefits primarily from the team he plays with. Being an elite team, the opposition brings their “A” game almost every night against Chicago. This has been going on ever since Crawford took the reins as the Blackhawks’ goalie. Also, while Chicago has some elite defensemen and defense minded players, there has been many a time when Crawford has been left out to dry and goals given up are not “bad ones”. And then when it comes to the topic of this thread, his play overall during playoff time? ……. Forget about it! These playoff series are such a grind that if someone can put up the numbers that Crawford has, he’s truly exceptional. There’s going to be quite a few retired sweaters before this crew finishes. Thank you Bucky for a great ride. He is playing like a $6 Million goalie. His teammates love him. He has 2 Cup rings. Before Tuesdays , ouch, it looked like Crow was going to make it to the top on both sides of the list. He IS the only one with an above .500 record.